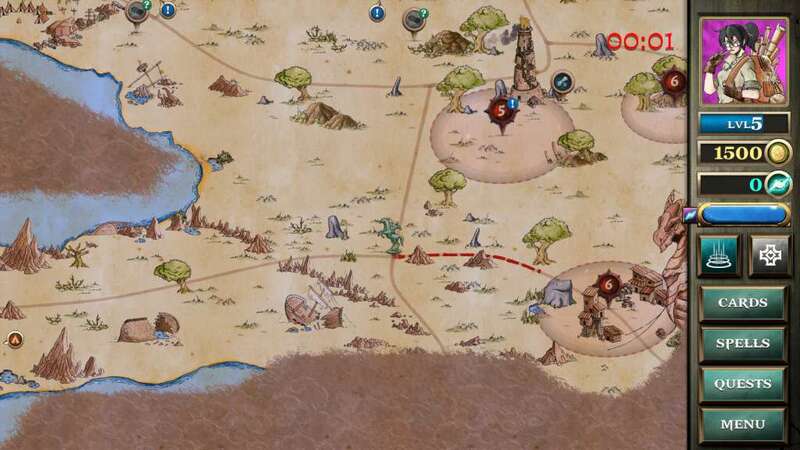 Decromancer is a unique tactical card battle game that focuses on a huge, story-based single-player campaign. 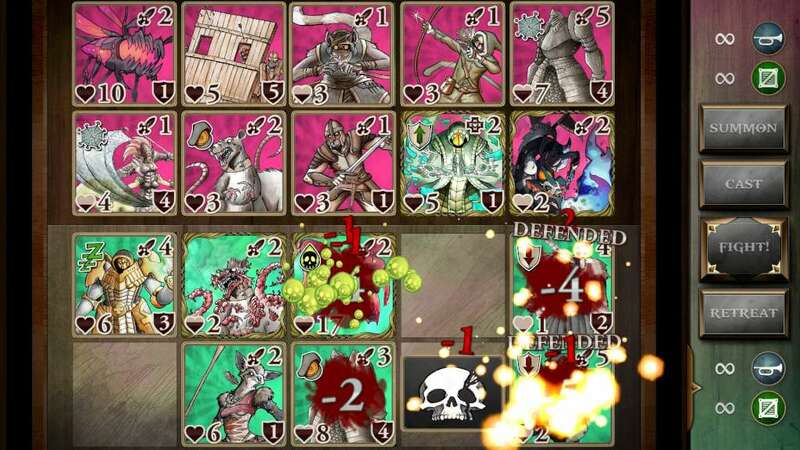 Battles are fought by placing cards on a grid and attempting to deal enough damage to your opponent's empty slots. 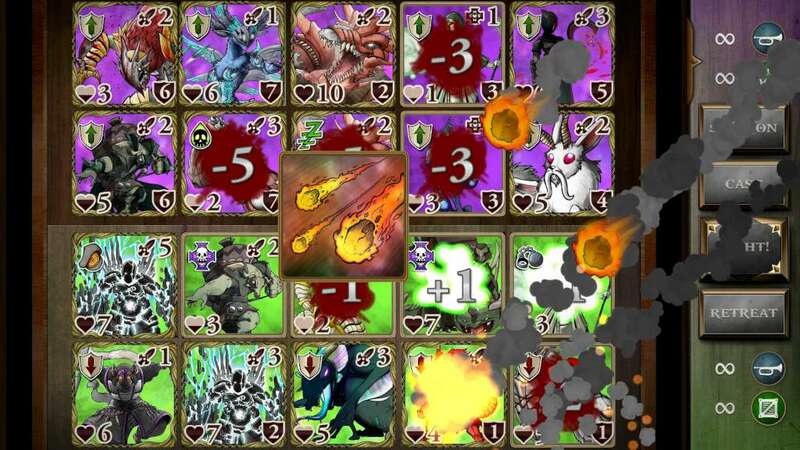 With each card having unique attack patterns and special abilities, the tactical possibilities are endless! Construct an army from a set of over 150 hand-painted cards, each with their own tactical advantages and special abilities. 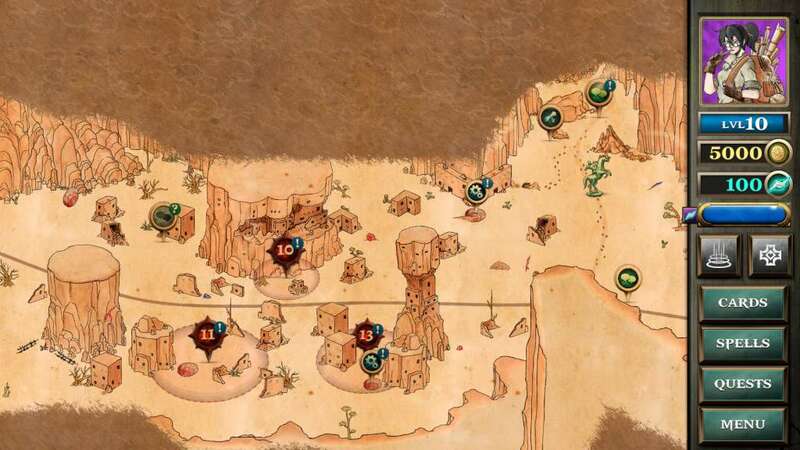 Explore a large, beautifully illustrated open world. Cast powerful spells to turn the tide of battle. 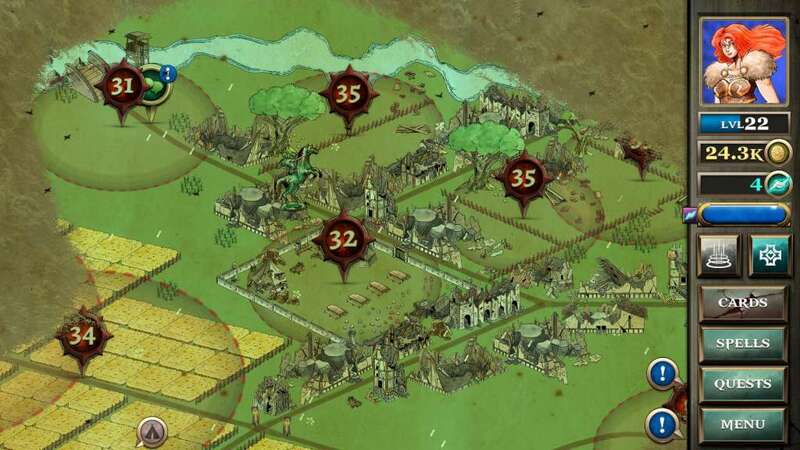 Unlock new cards as you progress to supplement and improve your army. 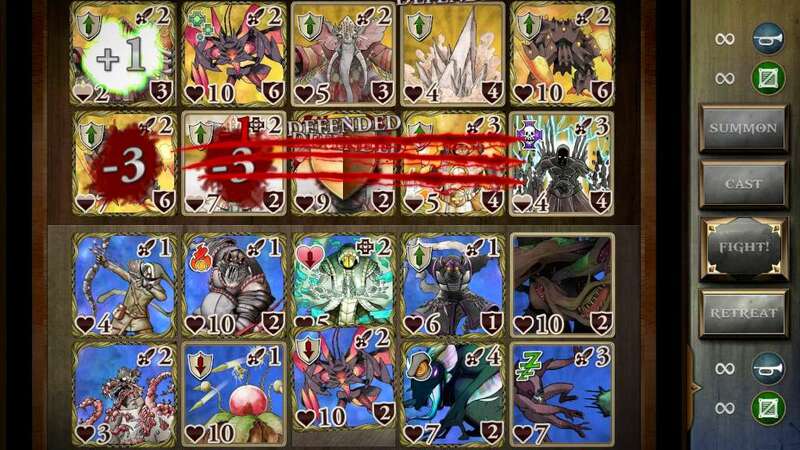 Victory in battle will allow you to upgrade your cards to Elite form, granting stat boosts and new abilities.